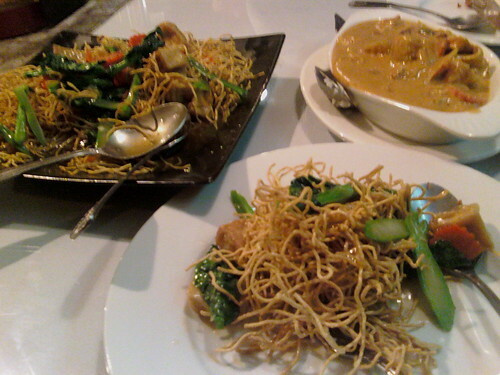 Mee Krob noodles and Massaman curry. We also had Tom Kha Gai and Chiang Mai sausage. Everything was fantastic, best Tom Kha soup I've had anywhere, including Thailand. S@ngarang! : I love this place! K Lacey: I like this place too!